It’s always an exciting time planning your viewing trip to France. The key to making it profitable and successful is in planning ahead so that you get to see as many properties as possible whilst giving yourself time for some rest, relaxation and sunshine! Here are my top tips for making your trip a success – and finding your dream home! Start your search online – have a look at our property portal to make a start. Begin by drawing up your criteria of what you’re looking for. It is a good idea to have a list of “must haves”, “would like to have” and “definitely not”! In other words, if you are unsure about number of bedrooms or what kind of outside space, leave yourself a bit of leeway but don’t waste time going to see properties which, for example, only have two bedrooms when you definitely need three. You get the idea: have a clear idea in your mind of your ideal home and be a little flexible upwards as well! Follow my top tips to make your viewing trip to France a success. When contacting property agents, give them your brief and be open to suggestions. A decent property agent in France will take time to accompany you on various viewings and should also give advice on all sorts of matters relating not only to the actual property but the area, local attractions, nearest airports, train stations, where the local doctor and school is and many others. The commission rates are higher in France but in return, estate agents should be willing to offer a complete service and take time to educate you about everything to do with buying property and how life is in France! 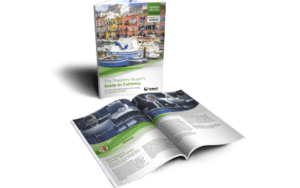 Find out more about setting your budget and controlling costs in your free Property Buyer’s Guide to Currency. Bear in mind that properties you like the look of on line may be a little different from how they look on paper! You can learn a lot from looking at the listings but it is vital to go and see them for yourself. Some may be a lot nicer than they look, some less so. When planning your actual trip, think about distances. France is a huge country and even if you are looking in one general area, there may be many kilometres to drive between the properties you have chosen. So when booking your trip, give yourself time and then add on a little. Property hunting should be enjoyable but not an assault course! As a rough guide, think about seeing no more than 5 in a day as after that, it may well be overload and you will of course need to consider each one carefully and give a great deal of thought after you have seen them . 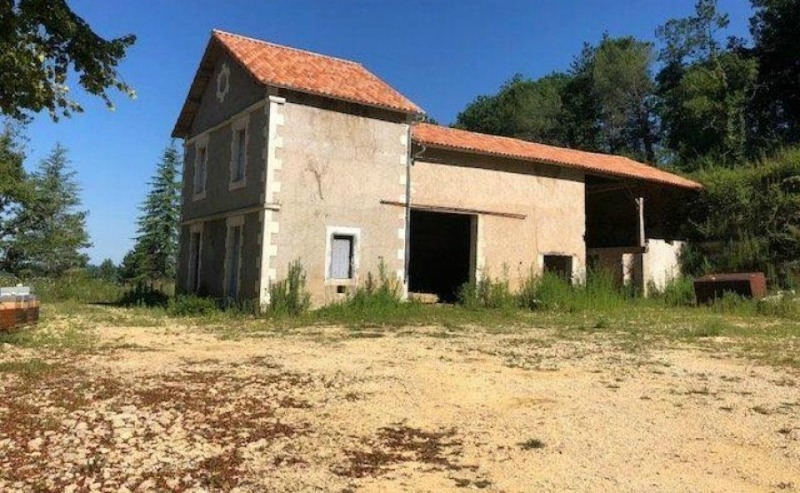 Could this €85,000 house with a barn in Aquitaine be on your viewing trip to France list? Click on the image to view the property. Have a day off is my next piece of advice! I mentioned a viewing trip not being an assault course: take time to soak up the atmosphere, stop for a leisurely lunch and linger over a nice aperitif wherever you are staying in the evening. Successful property buying in France means embracing the whole French lifestyle so location is very important. Don’t be tempted to go for a fabulous house, for example, in the middle of nowhere. Most people want to be within walking or easy driving distance of a nice French café or bar and with good transport links. All these things matter every bit as much as the actual property. Don’t worry if your French is a little rusty. Many estate agents in France have at least some English and you will find that in general, no-one minds if you make mistakes when you speak French. Just trying is the important thing and these days the French are very well used to British people visiting their country and buying property there. Take with you a large notepad, camera, tape measure, pen and map. You may think you will remember everything about every property you see but after 2 or 3 viewings, you would be surprised at how things tend to merge into each other! So taking good photos of each property is important. 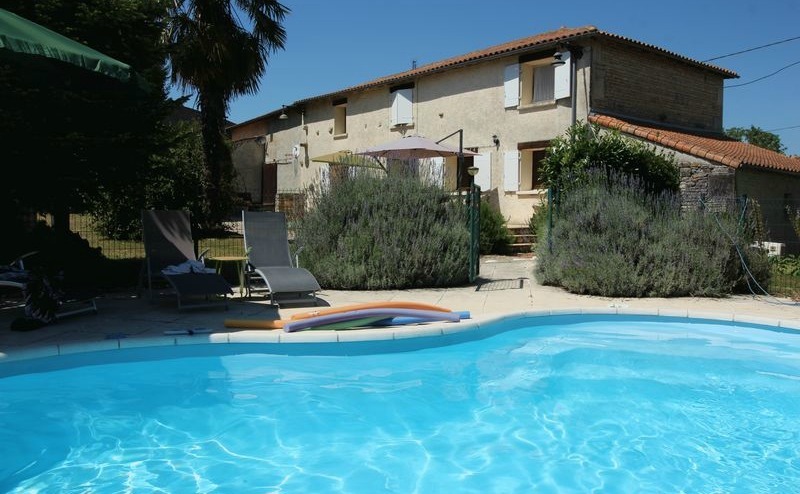 Check out this beautiful detached house in the Charente, with its own swimming pool, for €222,000. Click on the image to view the property. It is still very much a buyer’s market in France and now is as good at time to buy as any. Be guided by your estate agent but in general, you can reckon on the vast majority of property prices being negotiable so don’t offer the asking price! House hunting in France is a real adventure and with good planning in advance coupled with giving yourself time off to ponder and relax, it should be a pleasure rather than a chore. 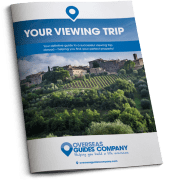 If you want to find out more about buying in France, don’t miss your free viewing trip guide, below. Which agents are you in touch with? Alexis loved visiting France as a child and always dreamed of living there one day. Fortunately she met a man who had the same dream! So they married, then bought a beautiful 300-year-old character house in a pretty village in the Languedoc Roussillon. Alexis has been writing about France for a decade, inspiring and helping hundreds of British people to move there. She says: "Our only regret is that we did not move to France earlier! The lifestyle is tranquil, the summers are long and hot and the sun shines almost every day (or seems like it does!). We’ve made friends of many nationalities here." Protect your costs when buying your property abroad. How do you get the most out of your French estate agent? How do you get a structural survey in France?